Vince Castillo with teammates from Mississippi State University. In collegiate track and field, few meets can top the storied Penn Relays. Hallowed ground for most runners, the meet is held at the University of Pennsylvania’s historic Franklin Field in Philadelphia. Donna High’s Vince Castillo visited the location last weekend, and not just to sightsee. 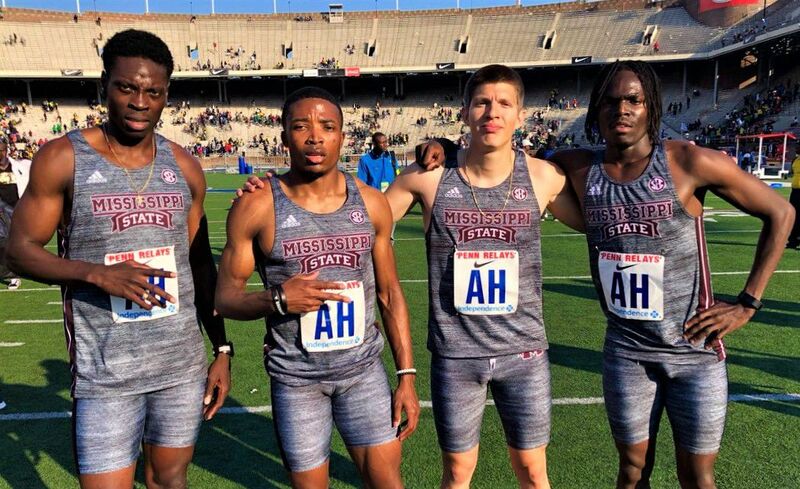 He and his Mississippi State teammates posted a new season best in the 1,600-meter relay with a time of 3:04.61. That was good enough for third place against the stiff competition at the Penn Relays. Castillo said he’d liked to have taken home the blue ribbon but had fun competing after missing all last year due to a stress fracture in his left foot. He’s more than helping. Individually, he’s been stellar in the 400 hurdles. The former Texas UIL state champion was recently clocked as the fastest collegiate 400 hurdler at the University of Alabama’s Crimson Tide Invitational with a 52.30. Castillo said he feels like he’s back at 100 percent and has room to improve and get faster. Castillo is beginning to peak at the right time. The Southeastern Conference Outdoor Track and Field Championships are in two weeks. Sharyland Pioneer’s Mariah Youngblood looks like she’s getting the hang of Division I softball. The 5-foot-6 high school standout started the year shaky and didn’t see much playing time for the Texas Southern Tigers. The pitcher was utilized in just four of the team’s first 20 games. Youngblood managed to go 2-2 in those games, pitching a total of 5 2/3 innings. Youngblood may have used her pine time wisely. 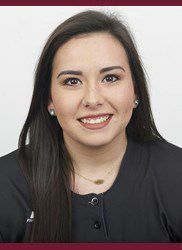 In her last and longest outing on Saturday, the freshman made her second start and threw 99 pitches in 5 2/3 innings, surrendering eight hits, three walks and just two runs in the victory over Prairie View A&M. She had one strikeout and didn’t give up any extra-base hits. Texas Southern is 9-4 in the SWAC and 20-14-1 overall. Jaleah Calvillo is a long way from Los Fresnos, but she appears to be feeling right at home at the University of California, Davis — a campus more than 2,000 miles away from the Valley in Northern California. The junior heptathlete is excelling at the multis and has been particularly impressive at the jumps. This season, the 5-foot-7 Calvillo has set a personal record in the long jump and won meets in the high jump. UC Davis is a Division I university and part of the esteemed University of California system. Davis is located in farm country just west of Sacramento. 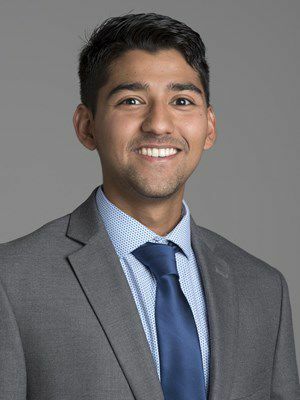 At last weekend’s dual meet against Sacramento State (where former UTRGV president Robert Nelsen presides), Calvillo took third place in the long jump and fourth place in the javelin throw. At meets this season, she has twice won gold in the high jump. Jose Angel Gonzalez can run just about any distance race. In four years at Texas State, he’s had top finishes in the 1,500-meter run, the 3,000, 5,000 and the 10K. Gonzalez, a senior from Sharyland High, simply likes to strap it up and run. That was evident last weekend at the Texas State Bobcat Classic in San Marcos, where he took home gold in the 5,000 with a time of 15:07.66. Gonzalez has been a vital part of the Bobcats’ track and cross country teams for years. As a freshman in 2015, he finished fourth in 10,000 at the Sun Belt Conference Championships. 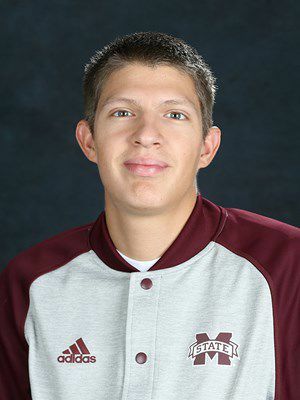 Earlier in the spring, Gonzalez placed seventh at the Sun Belt Indoor Championships. In two weeks, he’ll get another shot at the outdoor title.